When Should I Hire An Unemployment Attorney? Home » Unemployment » When Should I Hire An Unemployment Attorney? Sometimes, employers make employment decisions that are prohibited under state or federal law. The Department of Labor monitors this activity.2 Violations can include instances in which an employee is terminated because of his or her race, gender, age, or disability. If your employment is terminated as such, you have the right to initiate a legal claim against your former employer. Filing a claim may allow you to recover additional financial compensation in addition to your basic unemployment benefits. Preparing and filing a legal claim against a former employer is complex and time-consuming, and it is recommended that you seek legal counsel in order to do so effectively. Unemployment claims are administratively evaluated before they are approved or denied. Improperly denied claims may be appealed. A hearing will be held before an Appeals Tribunal, who makes a determination as to whether the original claim was properly denied. An attorney can help you prepare and most favorably present your case. Unemployment laws prohibit an individual from collecting unemployment benefits if he or she quits his or her job simply because they are unhappy or dissatisfied. However, if you quit your job “for good cause,” you may be able to receive these benefits. Consulting with an unemployment attorney can help you determine whether or not the facts of your case meet the standard. 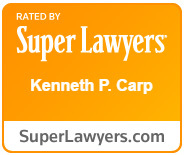 At the Law Offices of Kenneth P. Carp, we have assisted many unemployed individuals nationwide in obtaining the benefits they deserve. Please call our office at 636-947-3600 today for assistance. How Do Defective Airbags Cause Injuries?